Reach the Hochalm in summer, a picturesque panorama and starting point for hikers, downhill bikers, paragliders and fans of nifty mountain scooters racing into the valley, with the Bergbahnen Berwang. In winter, a total of twelve cable cars and lifts provide access to the Berwang-Bichlbach ski region. Find out which cable cars are operating, which tickets you can use for various activities, and which events are planned. Additionally, find hiking tips and all information about transporting sport equipment and prams. Include the Bergbahnen Berwang in your holiday planning – whether biking, hiking or skiing! Night skiing and night toboggan ride at the Egghof Sun Jet in Berwang - unique in the Tiroler Zugspitz Arena. Every thursday from 6 pm to 9.15 pm. Read more about the current price lists for the winter season 2019/2020. Ausgerichtet von der Musikkapelle, Bergrettung, Schützenkompanie, Feuerwehr, Trendclub und Skiclub. Programm folgt. All the participants, with a vehicle of 40 years or older, become a souvenir. Free participation! Have a look at the opening hours summer season 2019 and our activities! 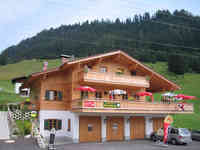 Mountain scooter rental at the Sonnalmbahn valley station in Berwang and the Almkopfbahn valley station in Bichlbach. Konzert der Musikkapelle Berwang anlässlich des Herz-Jesu-Feuers im Berwangertal. Dauer bis ca. 22:00 Uhr, dann werden die Herz-Jesu-Feuer durch die Bergrettung Berwang-Namlos entzündet. Am Pavillon gemütliches Beisammensein bei Flammkuchen und Getränken ab 19:00 Uhr. Secret tips for your hiking adventure in the region Berwang-Bichlbach. Read more about the tickets for the summer season 2018 in Berwang. Aim high: experience paragliding at the Almkopf. We transport for free: bikes, mountain bikes, mountain scooters, paraglides, baby buggies, pets, wheel chairs and more. Read more about the single trail "Lichte" which starts at the top station of the Almkopfbahn.